Crowd control products can commonly be seen in the banks, government departments, cinemas, galleries, post offices, airports and places where control is needed to keep the crowd staying in the line and get them organized at all times. 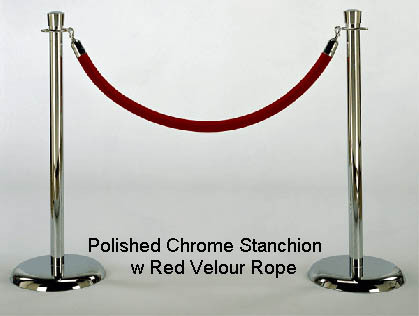 Crowd control products like stanchions, velvet ropes, barricades are used in exhibition halls too. 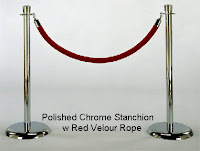 These products are highly portable, can be easily moved to suit any locations and occasions. I personally find that with the presence of these products in places I go, they give me a sense of directions, especially with information stating on sign frames. I always get annoyed with the queuing system in the school canteen where the parents always jump queue to buy food in the morning rush. The school should start using the crowd control products to keep those impatient parents stay in line and let the children get their breakfast first before the bell ring.